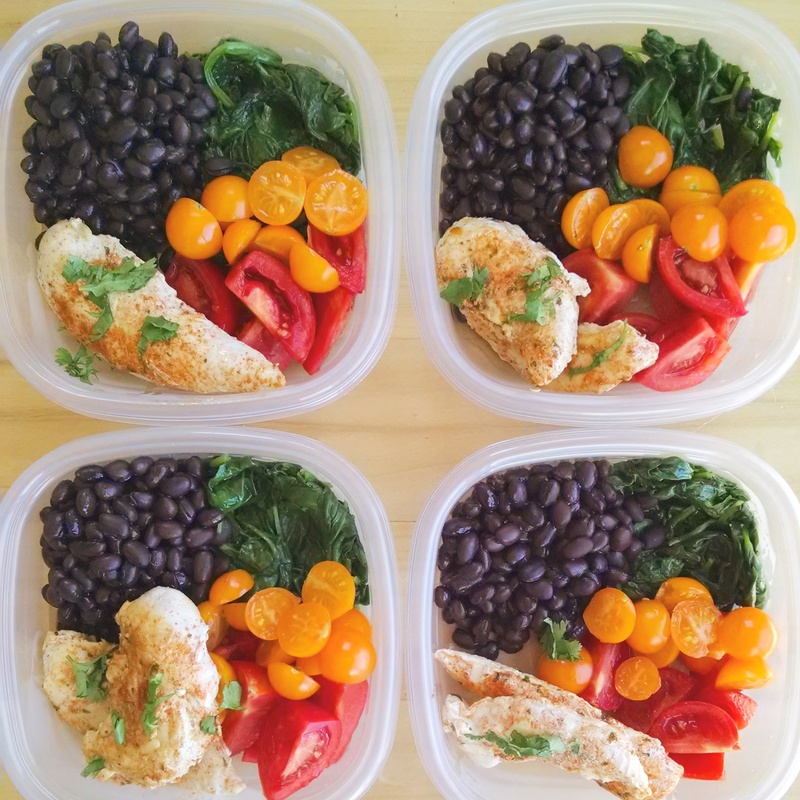 I just did my first meal prep for lunches this week – and it was incredibly easy and satisfying! Let me back up a bit. I eat horribly around lunch time. I run around chasing kids, snack, put together puzzles, snack, have a dance party, snack – you get the point. I really want to change this, so I decided to prep lunches ahead of time for the week so I can stay on track for eating healthy. I decided to categorize vegetables, grains/legumes, protein, and toppings. Those include sesame seeds, hot sauce, citrus zest, and herbs. Each week I’ll pick a few from each category to (hopefully!) keep things interesting. I also just got started on soups & stews to freeze! This week I sauteed spinach in garlic and made tequila lime chicken with cilantro. I added black beans and two types of tomatoes from my garden. I love being able to walk in my garden to pick fresh veggies & herbs! It’s inspiring me to plant a lot more next season. My favorite part of this process is that I only cook once 5 days! Fewer dishes and less mess are a win-win in my book. Have you done meal prep before? What are your favorite foods to prep together? Below is an affiliate link to the containers I used. This entry was posted in Recipes on July 9, 2014 by Ring Master Mom. The lunch looks delicious! When can I come over to join you? Lunch is my least favorite to prepare as well.